A Massachusetts state investigator is called home from Knoxville, Tennessee, where he is completing a course at the National Forensic Academy. His boss, the district attorney, attractive but hard-charging, is planning to run for governor, and as a showcase she's planning to use a new crime initiative called At Risk-its motto: 'Any crime, any time.' In particular, she's been looking for a way to employ cutting-edge DNA technology, and she thinks she's found the perfect subject in an unsolved twenty-year-old murder-in Tennessee. If her office solves the case, it ought to make them all look pretty good, right? View the trailer for 'Patricia Cornwell's At Risk', premiering on Lifetime on April 10, 2010. A short and face paced good read. Scarpetta was becoming tedious. Cornwell's later books lack the sense of humor that Southern Cross had. While this book has no humor, it is a breath of fresh air character wise. The author had the courage to make this new female protagonist unlikable. And, as usual, takes a swipe at animal cruelty which I love - the swipe, that is. The characters are, as always, well fleshed out. I highly recommend. Cornwell is slipping. Ten years ago, her writing was much better. She has become angry, egotistical and filthy. It was very difficult to get all the way through this one, and I will take a break on Cornwell books for a while. This was a terrible book, I was very disappointed. The only good thing I can say is, it's short. Another good Cornwell book. I like all of her books. Allways glad to see ladies in a man's roll. Kay Scarpetta is better than most of the CSI's on TV. I'm kind of disappointed. Not much of a story line. Too many unanswered questions. This was not one of Cornwell's best works, though neither was it her worst. The narrator's attempt at accents and gender voices was amusing at best. The end was slapped together too quickly, and it shows. Overall though, it wasn't that bad. I couldn't finish the 2nc CD. the narrator read it like it was a trashy novel, I didn't like the characters or the emphasis on their egos. Yuk. 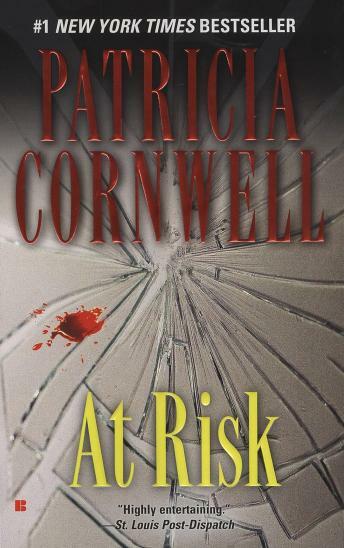 I usually love Patricia Cornwell's books but couldn't get into this one at all. I made it through the 2nd CD and didn't even bother to finish it. I didn't like the characters, the main character was boring, his sidekick was good but not enought to want to keep listening to the story, I absolutely hated the character of the DA. The person reading the book also was not very good. Very disapointing. I couldn't finish this book. It is all written in the 3rd person and the narrator doesn't do anything to differentiate between characters. I listened to 2 of the CDs and just couldn't figure out what was going on.